Do you remember the Pacific Rim ? Now is Pacific Rim 2. 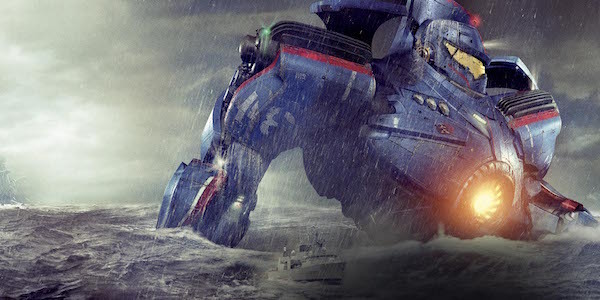 Fortunately for fans of battles between the Jaegers and Kaiju, Pacific Rim 2 is finally on its way to being made. 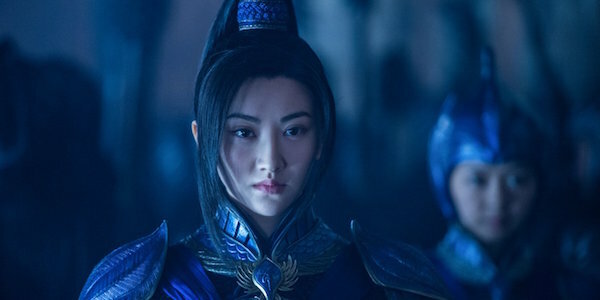 Over the last three months, the sequel has been assembling its main cast, and it’s been was revealed that Chinese actress Jing Tian will now be counted among that group. Legendary Entertainment announced (via Variety) Tian’s Pacific Rim 2 casting today, though they didn’t provide any details about who she’ll be playing. Our first guess is that she’ll be playing one of the Jaeger co-pilots, but perhaps her character will be involved in some other way. Tian is the fourth actor to join the blockbuster, following behind John Boyega, Scott Eastwood and Cailee Spaeny. Jian Tian has been acting in Chinese projects since 2008, including starring in the TV series An Epic of a Woman, but she’s slowly starting to establish a presence in Hollywood. She’ll be seen early next year co-starring alongside Matt Damon in The Great Wall, and not long after, she’ll appear as San in Kong: Skull Island, the King Kong reboot whose big stars include Tom Hiddleston, Samuel L. Jackson, Brie Larson and John Goodman. With all these major American movie appearances over the next couple years, Tian is setting herself up as someone to keep an eye on in the future. Plot details for Pacific Rim 2 are being kept under wraps. The only specific information provided so far is John Boyega will play the son of Idris Elba’s character Stacker Pentecost, who sacrificed his life in battle during the last movie. However, just like with the series’ first installment, moviegoers will get to watch human soldiers pilot Jaegers, giant robots who are sent to fight the Kaiju, mysterious monsters who emerged from a portal at the bottom of the Pacific Ocean called The Breach. Pacific Rim earned mostly positive reviews and hauled in over $410 million worldwide. As for the original cast, none of those actors have revealed whether they’re reprising their roles or not in Pacific Rim 2 aside from Charlie Hunnam, who won’t return due to his busy schedule. Since we’ve only heard about new players so far, this sequel almost sounds like Pacific Rim: The Next Generation. While the first movie’s director Guillermo del Toro is still involved with Pacific Rim 2 as a producer, he’s passed off directing duties to Daredevil‘s Steven DeKnight. Writers Emily Carmichael and Kira Snyder are reportedly tackling the script. Pacific Rim 2 is scheduled to begin production this November in Australia, and there will also be some shooting in China. The movie will then hit theaters February 23, 2018.